With more focus given to climate change, haze problems, species extinction, illegal logging - do you know that in the end, it all relates to forest management? The forests of the world face an ever increasing challenge to simply sustain its natural quality. Above and beyond the need to satisfy the hunger of consumers for scarce forest resources lies a distinct and more pressing need to ensure that these forest resources are kept intact for future generations - how? ...through responsible forestry. WWF believes that responsible forest management can and will play an important role in eliminating illegal logging, leading to improvements in the management of the threatened and valuable forests whilst enabling consumers to enjoy the “fruits” of the forests. This is why WWF-Malaysia is actively involved in improving management in the tropical forest through engagement with governments, businesses and industries. 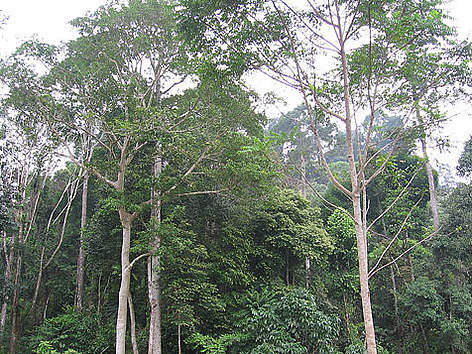 WWF-Malaysia is working with the government to establish a credible forest certification system and to ensure that an independent and internationally-recognised forest certification system is implemented in Malaysia. To improve forest management on the ground; WWF-Malaysia set up the Malaysia Forest and Trade Network (MFTN), a support programme that adopts a stepwise approach to achieve forest certification for businesses & industries. The MFTN brings about a mutual relationship between WWF-Malaysia and forest managers, wood processors, forest product traders, specifiers and end-users, who are concerned about sustainable timber source and responsible forest management. WWF-Malaysia also contributes to discussions on emerging issues, such as forest plantations and illegal logging. We seek to improve forest management while balancing the commercial value and interest through collaboration with various stakeholders.